Food has a lot more uses than just consumption. Outside of the kitchen, there are ways to get more out of your groceries than you may have thought possible. This saves you money but also saves the planet, because everything is natural. The first is indeed to bring out the shine of tiles. Simply take two gallons of water and half a cup of baking soda. From there, scrub the tiles with the solution. Easy cleaning. Another use for baking soda is for unclogging sinks and drains. Pour some baking soda into the drain after removing the cover. Then take some regular vinegar. The fizzing will work down into the drain to help break up whatever is clogging it. Exfoliation. Mix 3 parts baking soda and 1 part water then rub in a gentle circular motion across the skin. Wash off and be wowed. Relieve skin irritation. Adding baking soda to bathwater will soften the skin and ease irritations, like insect bites, burns, and more. This also comes in handy for when your baby has diaper rash. Deodorizer. This is probably the most famous use for baking soda. Simply sprinkle around the house and let it sit before vacuuming or sweeping up to get rid of lingering odors. You can even put an entire box in the refrigerator for several months to absorb odors that would otherwise affect the flavors of the stored food. This also works in trash cans, cutting boards, litter boxes, toilet bowls, and anything else that gets rank. Since the time of ancient Egypt, Vinegar has been used to kill the germs and bacteria’s, due to its acidic nature. You can use vinegar mixed in water to form a solution that would help you in cleaning. Salt, in its solid form is important to use as an abrasive item. You can use it for scrubbing jobs, and clean a lot of pans in your kitchen. However, when mixed with water, it becomes saline and helps in cleaning the stains of proteins. It will clean the blood droplets from the clothes or any stain from the carpet. Tired of using all the expensive cleaning agents to remove stains and odor from the oven? You can use the paste of the grapefruit and scrub in the areas where there is a grim or dried stain. 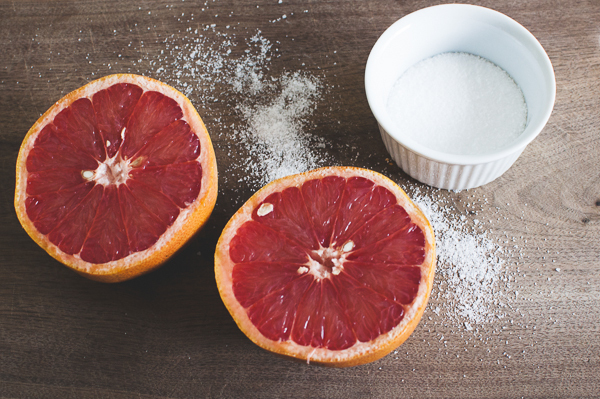 Grapefruit, when mixed with salt works abrasively and cleans all the dirt easily. It is one of the natural ways to clean the oven and that even it simpler way. If you want to know the magic, how to clean your house fast from rust, here is the recipe – use potatoes. You need a peeled off potato, dip it into any dish soap or baking soda, and scrub the rusted area. Keep on rubbing until the rusted area is cleaned completely. If you have icky windows, you can get rid of them through onions, as it works better than most commercial cleaning products. You can shine your wooden items with the use of the tea. Rub the cloth dipped in the cooled tea, and make your furniture shine. They too work like lemons, as they belong to the same family. They are known as all-purpose cleaners and act as wonderful laundry solution too. You can use the peels to extract the oil, which would help you a lot in getting the cleaning job done. If you wish to keep your silverware shiny and wonderful always, make sure you use banana peel over them. You can use the peels to form a paste and then use it for cleaning. Green tea can do miracles you know; if you want to keep the refrigerator environment fresh and healthy, place some green tea leaves inside it. It will help in removing the pungent odor easily.